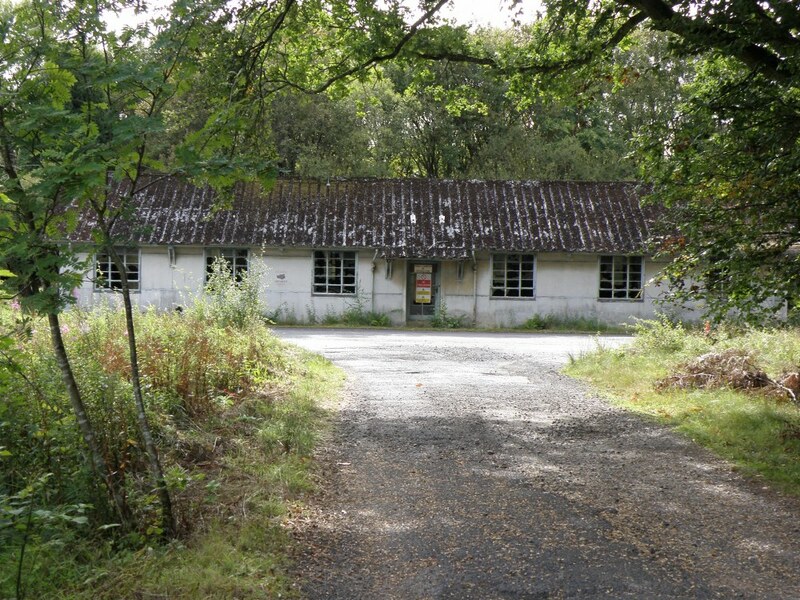 Killearn Hospital was one of five commisioned in 1938 in preparation for the war. 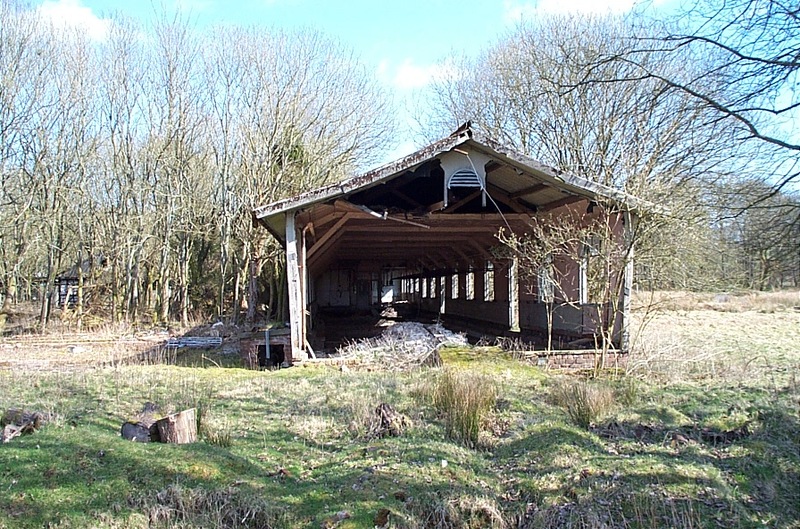 Building started in 1939 and also complete in 1941 in time for the air raids on Clydebank and other Clydeside towns, which could be seen and heard in Killearn. Local people had been asked to assist in getting the hospital ready to meet the emergency. As well as air raid casualties it was used for treatment of sick and wounded servicemen, injured seamen from convoys arriving in the Clyde, essential war workers, pensioners and Prisoners-of-War. 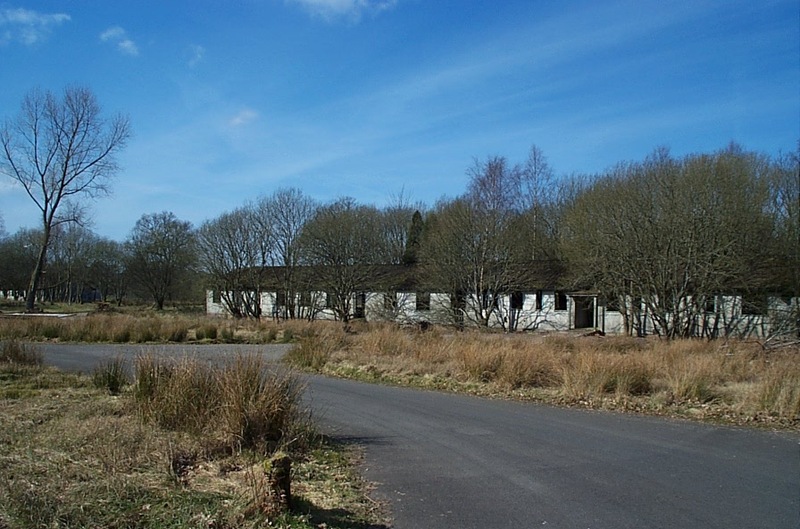 It played an important part in the Clyde Valley Scheme for urgent treatment and care of war workers and was also used for emergency cases from the surrounding population. The hospital had close links with Glasgow Western Infirmary but had several special units of its own. The orthopaedic and neurosurgical units were famous throughout Scotland, the latter being transferred to the Southern General Hospital. The hospital was desgined to provide 640 emergeny beds, but after the War its total bed complement was 404. The distance from Glasgow casued problems with the transportation of emergency cases and of visitors and nursing staff. 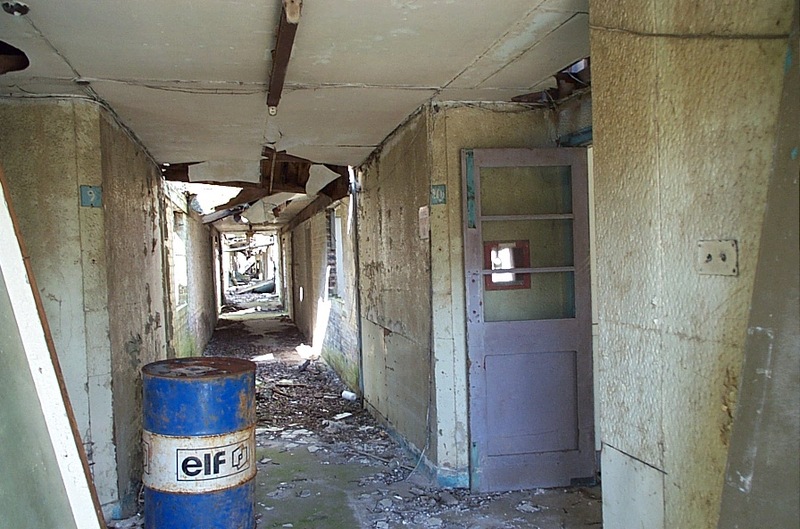 The hospital was eventually abandoned in the early 1970’s. 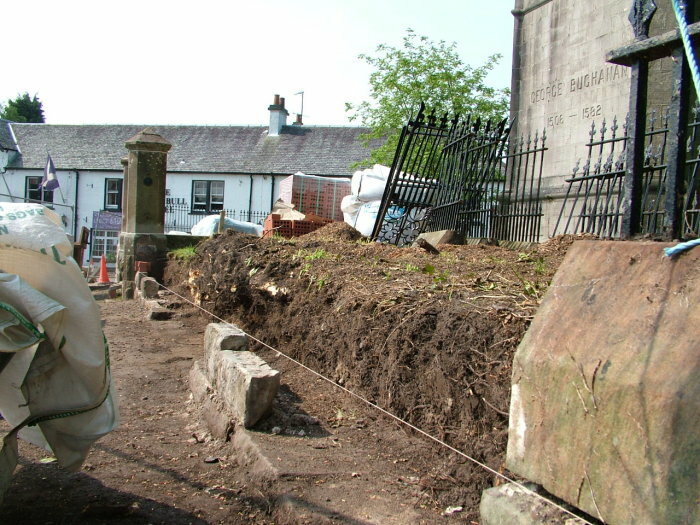 Also see Killearn Hospital images on Flickr. My mother, Mary (Clark) Ray, worked in this hospital during WWII as an Occupational Therapist. She was brought over from Canada, and asked to help set up an OT department. However, when she arrived, the superintendent of the hospital didn’t think OT was very valuable and made the establishment of OT services very difficult initially. However, Mom was successful enough he began to appreciate the value and by the time she left to come back to Canada, he admitted she would be sorely missed. The Ontario Society of Occupational Therapy is gathering things for their archives so if anyone can share some information that would add to the stories of OT’s making a difference for rehabilitating people, I would be delighted. 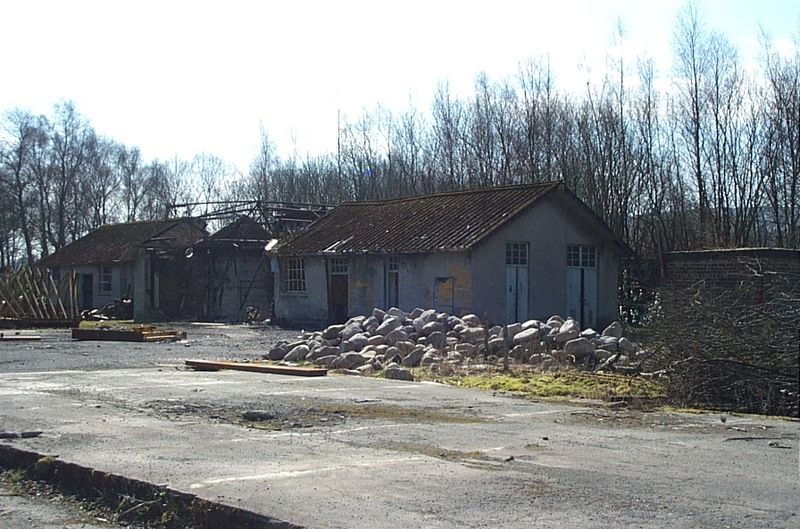 I trained as an orhopaedic nurse in killearn hospital from 1968-1970 & those were very happy times.It is heartbreaking to see the place in ruins now.I have so many great memories from there.It was such a friendly enviroment.Too bad it had to close. Hi Stan the scan!I never did say goodbye.Killearn will always be in my heart & all the great people I met there! Well Stan,I’m still in Canada & still smiling but with a few wrinkles.My youngest daughter was out in Australia for a year,Melbourne &then Sydney,she returned here last August reluctantly.Where in OZ are you? We had a wee bit of a reunion in September at Killearn with some of the folk we trained with & it was really nice to get together but very sad to see the hospital in ruins. lovely to hear from & do keep in touch. Hi, My name is John Young and went to Canada in 1981. 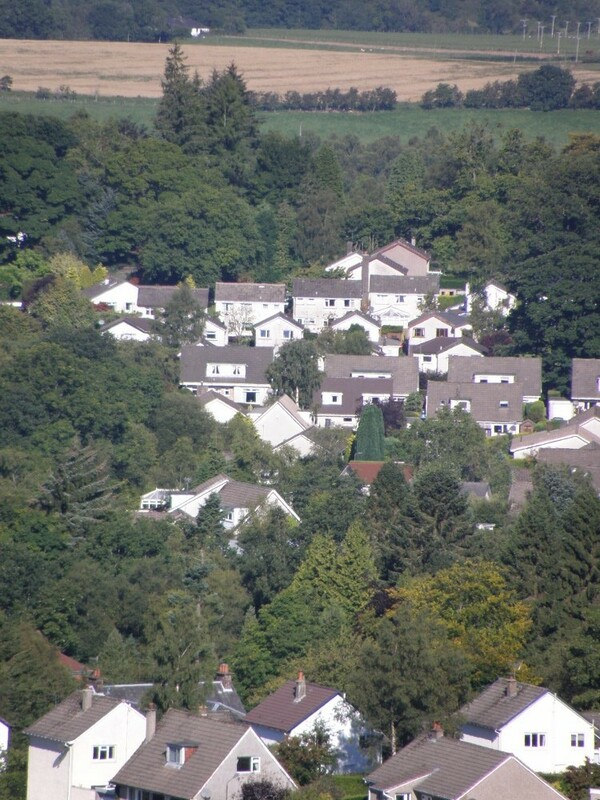 My home for many years was in Strathblane. Killearn Hospital is a place I new fairly well as my friend was a nurse there. I have learned that he died some time back. Tommy married a nurse from the hospital. Its so odd, I remember her name like it was yesterday Valery. At that time I was in love with a nurse, Jean Porte. Fantastic times which I still hold so dearly. Went to Balfron high school. Still have contacts, like Mike and Sheila Rennie in Killearn, Rina Taylor, now Chranston. on and on. Miss you all. John. Well Gabrielle I am in the swinging city of Adelaide. I have a son in Paris (chef) and a daughter here in Adelaide (lawyer- about to make me a grand dad). I am on facebook as Robert Stanley Orr with a picture of a gorilla. Did you know my mum Sheila MacFarlane? She did her orthopaedic training their too. Did your Mum marry Eddie Manderson who was a male nurse there.If it’s the same Sheila I remember her well. Hi Gabrielle. George McLachlan here! I was ordering flowers for my son and his wife when the lady told me about this website! How are you and yours? I have two children and three grandchildren that keep me really busy. Are you in contact with Rosemary or any of the others in our set? I have fond memories of the church service in ward 6 remember?! And our trips to the Black Bull! Best wishes. Can you remember my mum. She was in Killearn hospital from 1961 until around 1968 with severe head trauma. A slate went through her skull. Her name was elizabeth collins. My mother was a patient in ward 1 at Killearn, nursed by Staff Nurse Ward and her team. I later trained there as a nurse and especially remember Sister Cronin who kept me on the straight and narrow. Such a shame to see what has happened, it was absolutely beautiful grounds and so peaceful. Just been reading the comments about Killearn Hospital.I was brought up along from there at the sawmill and remember seeing all the buses at weekends taking all the visitors to the hospital.Also when we got on the bus for school there were never any seats for us until the bus emptied at the hospital with all the staff going to work.When the hospital closed the buses stopped going round that way.It is indeed very sad to see the place in such a state.Miss Ward lived in the village with her sister until a few years ago and they are now both deceased. HI nancy, my nana lived up the road by the saw mill, her name is Kathleen Russell aka Kathy, she passed away 6 years ago, if you new her is there anything you could tell me about her, i obviously know an awful lot but its nice to find out from others to, and pictures if you have any, she also worked at the hospital as a nurse, i have a staff pic of her and her colleagues i could scan it on. Hello Kat,yes I knew your nana.The family came to Lettreburn when Samuel was a baby.I moved from there when I married in 1972 and lived in a cottage nr the smithy on the other side of the hospital.My dad was the blacksmith at Blane Smithy and sometimes the patients would walk along to the smithy and sit on the barrel inside the door and get a haircut! That would have been in the forties I think.Anyway,I have been in the village since 1982 and didn`t see your nana much after that.I see Samuel most days when he is in the village for shopping. Which one of the family do you belong to? There was David,Elaine,Valerie,Robert and Samuel. Sorry I have not been checking here for a while. Ah ! Sr Cronin ! She was a guiding ightning for me. Matt Rodgers. Started my lifelong nursing career there in 1965 . I grew up at the Blane Smiddy and can remember Killearn Hospital in its heyday, I remember as a wee boy delivering the News papers to the Wards, getting autographs from all the football players that were having cartilage operations, helping my Mum & Dad fill up the vending machines, I can also remember the nurses returning from the The Black Bull and Knocking on the shop door at 11pm looking for cigarettes discussing with each other on how to get back in without the Matron catching them. 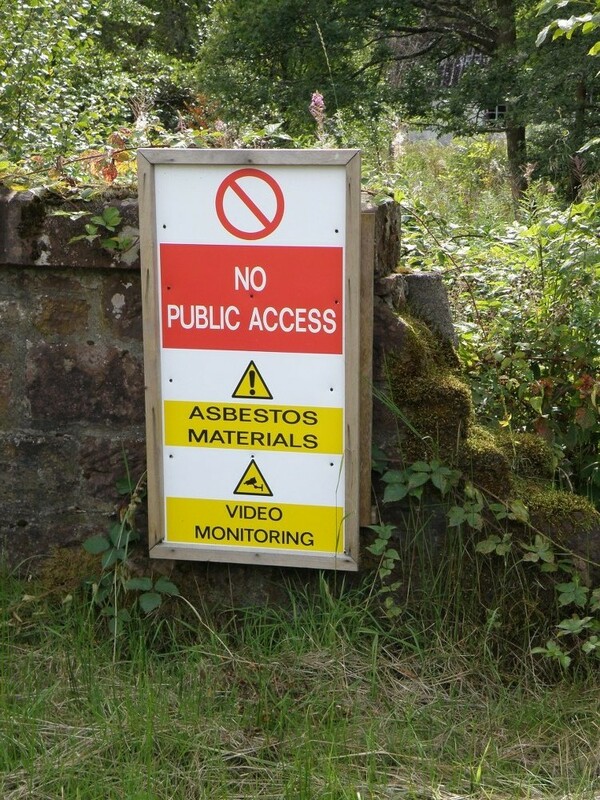 Just remember don’t just blame the asbestos for the way the hospital is now, when it closed there was allot of interest in redeveloping it but the do gooders kept on rejecting the numerous plans that were put forward. but there is no response to the number I have. Hi Fiona,I remember you very well too.I still live in the village and it`s a blast from the past to see your name here.Hope you are well. I remember the hospital very well as I lived at Crosshead Roadin the village. I used to work at weekends in the farm across the road from the hospital, collecting the cattle and driving them to the farm, also watching the helicopters arriving with the injured from the Cairngorms and surrounding areas. thats the postcode for oakwood nursery and cafe, the hospital is just over the road from there and your best bet would be to park in there car park and walk over to the side of the road that the hospital is on. I was a spinal injury patient at Killearn Hospital 1964 under the care of consultant Mr Shorstein for whom I have a great deal praise, he spoke to you the patient not as was common in those days to discuss your proposed treatment with everyone around your bed space, totally ignoring the person in the bed. His expertise gave me the ability to walk again, but warned me I may suffer associated problems later in life which has happened. A few years ago returning north by train from London Euston I was joined at the seats opposite by a Father and Son from Glasgow who had spent the day at the House of Commons / Lords. 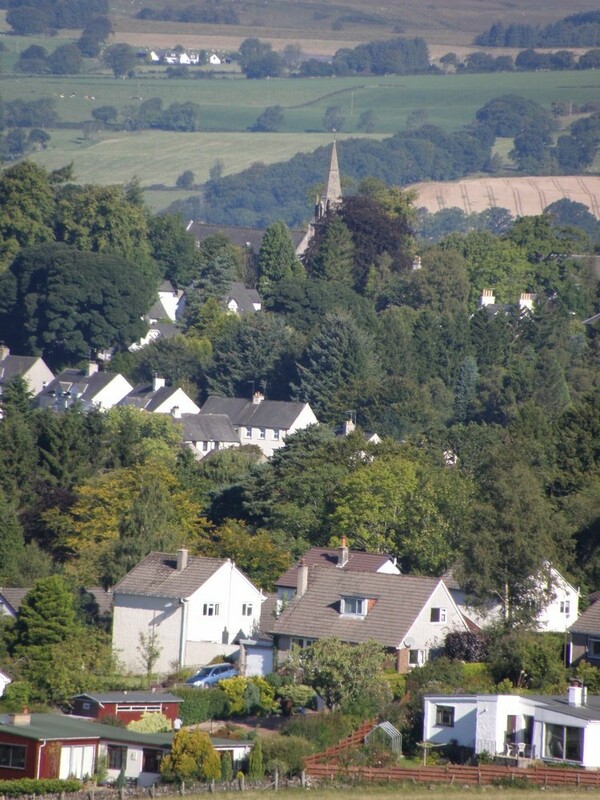 I mentioned during my service in the Royal Navy at Faslane I spent some time at Killearn with a spinal injury. I mentioned the Consultant by name, the father replied his mother was treated by the same person at Killearn around the same time, his mother always said he had saved her life. That day on the train was the first time both they and I had heard the name Shorstein by someone outside their family. I do not remember the ward number, memory loss is a problem, but I have just recalled a nurse by the name of Port thank you for your care should you by chance read this comment. Joe Shorstein was not just a great medical professional but a philosopher. Sadly, he seemed to have lived a very tortured inner life, as described by R.D.Laing (who worked at the hospital in the late 50’s) in his autobiography. May he RIP. My mom came from Germany in 1949 and worked as a nurses aide at Killearn Hospital. I remember her telling me stories of going to dances on her days off with her girlfriends. They had to walk quite a long way from the hospital before catching a bus. She met my dad at one of those dances…just 2 weeks after arriving in Scotland. She had fond memories of the place, as it was the beginning to a very happy marriage! Hi Elaine,I remember you.If I’m correct you were an enrolled nurse.I have just been in contact with Noreen Devenney,actually I stayed with her when I was home in Ireland.I’m now living in Canada.Would love to hear from you. I was an orthopaedic student nurse at Killearn Hospital I started PTS in September 1967 and would love to hear from anyone who was there with me I was Hazel McVean then. I was there when you were there(elaine McCartney) you will also find Noreen,cathy &Gabrielle on this site.We had a reunion in Killearn last year which was a wonderful catch-up.Love to hear from you do you remember Pat Harkness and Sheena Ross and loads more? Hi Margaret, I remember you I was in the next room to you in the nurses home.They were the best days. Where are you now? I retired a few years ago.I would love to hear from you There are a few of us who are still in touch. Hi Hazel. I remember your name but unfortunately i cant place your face. The old memory is not up to much these days..Do you remember me. I was in the Sept 1968 pts. I hope you are keeping well. I was speaking about you to a friend recently. I remember you giving me a lift in your new car when we were in first year! I have fond memories of Maraid too. Hope you are well. George. Hi Elaine,I remember you from Killearn.You were an enrolled Nurse there.I met up with Noreen Devenney in the summer & she hasn’t changed!I’m living in Canada & I would love to hear from you. Hi Elaine,thanks for responding. Noreen is back living in Ireland.She had lived in England for a while.I live in Winnipeg & have been here for 36 years….where has the time gone?So sad to what has happened to Killearn Hosp.I think those were the two happiest years of my whole nursing career.My email address is gabymcgrath@hotmail.com.Have you been in contact with anyone else from the old days?look forward to hearing from you. Hi Gabrielle,I was delighted to hear from you.My e-mail address is-elaine.ritchie@btinternet.com Thanks for yours and I have pit it into my contacts and will keep in touch that way as it is not too easy getting into this site either that or Iam not too clever with the computer!! I do not have any contact with anyone from the hospital but I did register with friends re united and there are a few onthe site i.e. Hazel mc Vean,Rosemary Devine,and I think Eddie Manderson-he married Sheila mcFarlane so it is a good contact site-do you remember any of them? It will be great to reminise with you and see how much we both remember. Noreen was at my wedding 41 years ago.I wonder if she remembers? Does she have an e-mail as it would be nice to chat to her also. I have worked in hospitals in Canada and here and none of them matched Killearn ,I now work in an Endoscopy unit 2days a week its o.k. it pays the flight to Ontario twice a year!I went back to college and did my r.n.course as they faced out the Enrolled nurses here(cheek) but I am now semi-retired you are right time flies. Iwill go now but will talk to you soon. Hi Elaine,I tried your email address but it didn’t work.Please send again. Great to be catching up with more old friends. Thanks for the call today Gabrielle, I’m looking forward to catching up with you now Elaine. Gabrielle will give you my email address. Of course I remember your wedding, I remember your husband is called Ian Ritchie (hope I am right) would love to see some of the pictures, have you still got any. I thought you had went to Australia, I was surprised when Gabrielle said you went to Canada. In my head Killearn was the best time of my life. Did not always think so at the time. ha ha But it sure is a great time to look back on. We had some laughs along the way. Wouldn’t it be great if we were able to make contact with more people from our time in Killearn and have a reunion. I’d love that. I have e-mailed you hope it went through I have filled you in with allmy news hope you wont be bored! and is well known to tocal people. It is a while since I left a comment about my time in Killearn Hospital the comments from your former staff colleagues proves your point there was a great community spirit at Killearn. Which made for quality care for the patients. I was in the end ward turning right at the ambulance delivery door down the passage the ward was on the left thinking back I do not recall ever knowing the ward number. Your comment about climbing out of the home window gave me a real good laugh just the tonic I needed. time there, and first my children and now my grandchildren fallabout laughing at the uniforms. Mary the comment you make about the high standard of care at Killearn, in my case the nursing care was excellent. Matron was once a nurse possibly pre NHS, she knew who was who and turning a little blind eye to your late return, you gave a little extra to the patient making everyone happy. The reason I laughed was two fold (1) thinking of you scrambling through the open window shoes in hand making as little noise as possible and thinking you had got one over on Matron.I would hope today you are able to stay out past 10.00pm and you have a front door key. (2) When I thought my recovery was almost 100% I made an attempt to go to the village instead of going through the front door, I thought the best escape route was walk on the grass next to the ward to the wall along side the road how misguided, I managed to sit on the wall but my attempt to get one leg on and over the wall resulted in the most tremendous pain leaving me stranded on the top of the wall fearing the next strike of unbearable pain should I attempt to move. I was rescued by a Postman. I have been told a good laugh works wonders. Do you remember Mr Shorestein ? Cheers, and lang may your lum reek! It is surreal to read of Mr Schorstein, without whom, together with his team (including Mr Sloan Robertson I think) I almost certainly would not be here to write this now. Does anyone know what happened to him, and if there is any surviving family? Dear Mary, do you know if there are any surviving family of the Schorsteins? I heard there had been some tragedy, but I would love to be able to pass on my respects. My mum & dad, Kitty (nee Gibson) & Alex Knox, met in Killearn Hospital where they both worked in the 1950’s-70’s when it closed. My dad worked in the Neuro theatre & my mum worked in the kitchens initially & was then an auxillary nurse. My Gran, Winnie Gibson also worked there. My family paid a visit to Killearn today & drove past the old hospital & reminisced about the good old days. Sad to see it in the state it’s in today but glad to be able to show my kids where it all began! Does anyone recollect an auxillary Nurse called Elizabeth Tyronney from Inverness. She worked there (I believe it would have been in the 1950’s sometime) until she married my Dad in 1959. She sadly passed away last October but used to fondly remember her time there and all the people and things they used to get up to. Please let me know if anyone can recall her. Hi my name is Sydney Brown from Killearn village and started working at the great hospital as an orthotic technician,then when it moved to Gartnavel hosp I became an Orthotist and have lived down in Harrogate for over 30 years ,and do miss my village so much ,but always get up to killearn 3 to 4 times a year.Nice to meet all my village pals who we went to school with.My mum Rose Brown worked at our hospital to and she is still in village.God Bless you all and a merry christmas. My Dad, David W Knowles, had a cerebral haemorrhage around 1967 (aged 40 – when I was about 5 years old) and had his life saved by the excellent surgeons at Killearn Hospital, a long trip by ambulance from Johnstone, Renfrewshire, where I still live. My Mum told me that she fainted when told that he would be blind, but he was lucky for his sight to be spared. He recuperated at Hawkhead Hospital in Paisley. He lived another 25 years, taken by cancer in 1992. My niece now lives in Balfron with her fiance. I myself was a patient in Killearn Hospital in 1966. I had TB and an abcess in my lower back, after being in full length plaster for a month then an operation to remove 2 ribs I was we’ll on my way to a full recovery, thanks to the nurses and doctors, one was Staff nurse Williamson,then made up to be a sister. Another nurse I remember was nurse Campbell who was also very kind as they all were and were always smiling. The young lad who was in the bed next to me was a lad called William Alexander, who’s girlfriend if I remember rightly was killed in a motorbike accident in which he lost an arm. Even although I was feeling very poorly it was the staff,as they were absolutely brilliant no matter what,day or night,so please give yourselves a big pat on the back for anyone who worked there. Thank you all so very much. Thank you for your kind recognition of the nurses at that time .It is nice to know we contributed to the recovery of our patients . Incidentally ,the Nurse Campbell would be Wilma who was and is a close friend of ours to this day . You all deserve recognition for the fantastic work you all did and I do know that as a patient we all had a moan from time to time but as ever you all took it in your stride. Please say hello to Wilma Campbell from me and I do remember she smiled with her eyes and she lit up the ward as soon as she entered it. My fondest regards to you all. Nurse Lennon was Mary Lennon a student nurse at that time. Mary qualified in orthopaedic nursing and went on to train in general nursing afterwards. I believe I was in the same class as Mary 1969 /1971 loved every minute I was there great place great people . Sorry ment to say Mr Parks was the consultant hand surgeon . Hi Derek how are you? It’s been a long time since those days. Is this place still standing? most certainly still standing. Most of the wards accommodation blocks and theatres there . feb 2013. .. 15and. 16 missing. I was a in-patient at Killearn in Spring to Summer of 1963 due to a spinal abcess. Dr Schorstein was an amazing surgeon who showed much care for all his patients. I was in a plaster cast for the time that I was at Killearn but was wheeled out into the sunshine which improved all our spirits. My family could only visit occasionally so it was great that it was such a friendly atmosphere. Injury that severed the arteries & tendons. Was a Dr. Parks. I would dearly love to see a photo of this man who saved my right hand . I remember a high hedge , I think down by the main Rd that I called my Spitfire . I also remember that patients and nurses would go for ‘walks’ I was along as lookout ! Which was rewarded with candy. Athol Parker’s was my brother in law.Unfortunately he died in his seventies, far too early, he had lots planned for his retirement.If you let me have your e mail address I can send you his photograph. 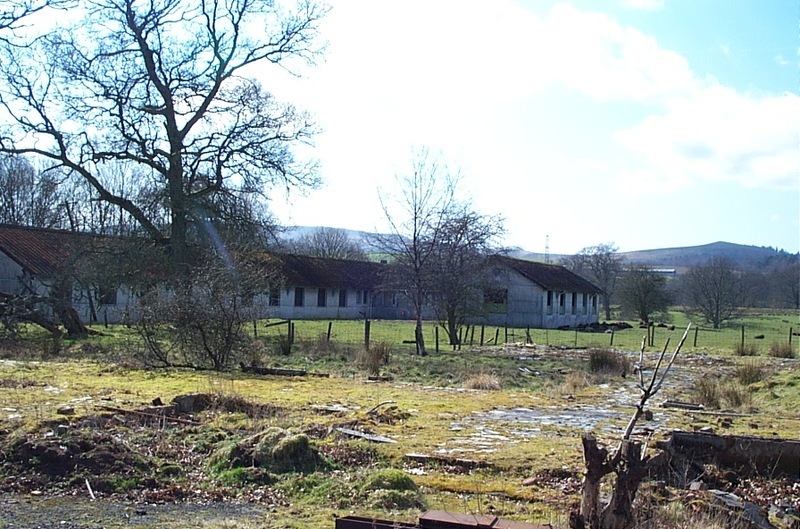 My father was a patient at Killearn for a brain tumour around 1947. He was 11 at the time. I think he may have been operated on by Sloan Robertson. He now has dementia and is unable to tell me anything about that time, so I would welcome any experiences of the hospital back then. I remember being rushed to the hospital with an acute appendix in a taxi.It was 1947 and I was eight years old. My father , Martin Nichols ,was one of the neurosurgical team then. 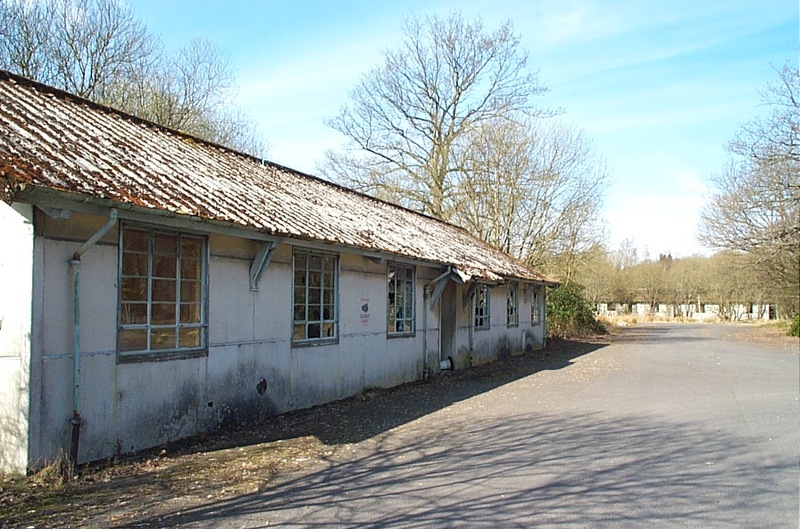 In the RAMC,he had been released from a POW camp at the end of the war and found work at Killearn with Sloan Robertson from 1946 to 1948 .After that he went to Aberdeen to develop the new neurosurgical unit there. We rented a house on Station Road–Benview, I think it was called, and I would walk to school ( the old school!) 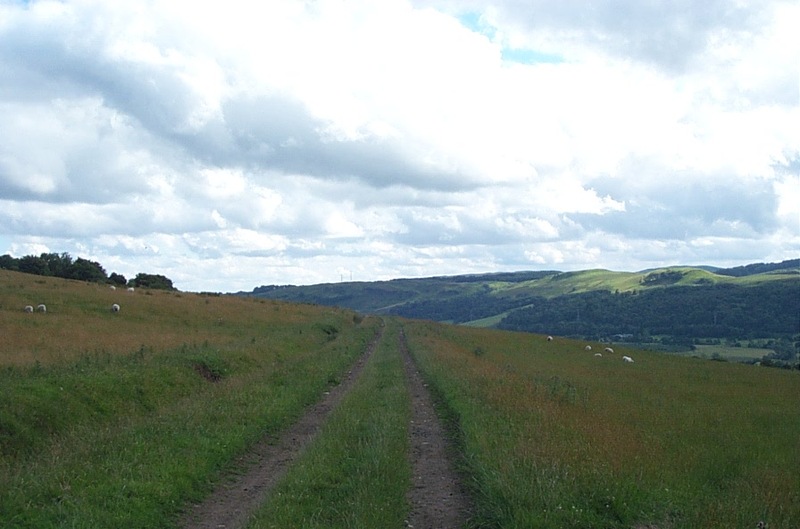 up a narrow path between two fields. Lovely! 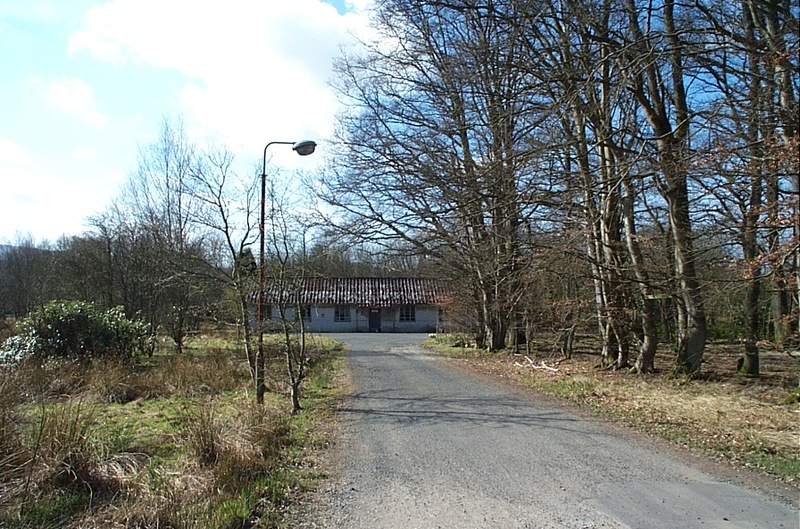 I have just read your comment about Killearn Hospital.I haven`t been on this website for a while.My great grandfather built Benvue, at top of Station Road,along with his brother.They started up A&J Sinclair,Joiners.My great grandfather lived in the house on the right of the building. My grandfather was born there and sadly when his youngest sister passed away the house was sold.I was born 1951 and went to the old school too until the new one was built in 1961.It is now made into houses which cost a fortune. I was a student at Killearn from September 1967 and I have really fond memories of my time there.I remember nursing the patients in their Plaster beds on the verandahs and..I also remember a Sister Dallas on the childrens’ward and James Tulloch Brown a Consultant,can’t remember the Prof’s name but his registrar was Mr Woods.Happy days. Hi Hazel,I remember you and There are a few of us on this site that were all there with us.We had a reunion 2years ago we all had got older but it was the same family atmosphere that we had all those years ago. I was seconded from the western infirmary as a student nurse for Paediatrics experience in 1962. For some reason we could not be accommodated at Yorkhill. Since it was out of the way, parents could not visit daily. I remember a 3 year old with Spina Bifida whose mother told him ( at the end of visiting time) that she was just going to the toilet, but she never came back; her way of saying goodbye without upsetting the wee lad.. He kept his eyes on the door every waiting moment for days. Heartbreak for us all, but how do you rationalize with a 3 year old?! Rag I’ve just found this site & read your post. I’m wondering if I could be the child describe? I was a spina bifida patient and Something similar happened to me with my mother but I was 5 in 1962. My late father, George Thompson (dob August 1929) was a patient at Killearn as a young man. He had a tubercular infection in his hip and spent long periods (perhaps recurring) at Killearn, I think in the late 40’s-50’s and possibly early 60’s. He had previously been a patient as a very young child at Mearnskirk and was evacuated to Millport during WW2. I realise that it’s unlikely that there will be many surviving patients or staff of his vintage still alive, but I would love to know more about Killearn during these periods. My Father was oddly very happy at Killearn and spoke with great affection of the WW2 vetrans who helped “educate” him and make up for the gaps in his education that had occurred due to his illness. And also of the nursing staff and doctors who cared so brilliantly for the patients. I think he had fun at Killearn, although the administration of streptomycin straight into his hip joint didn’t sound fun at all. 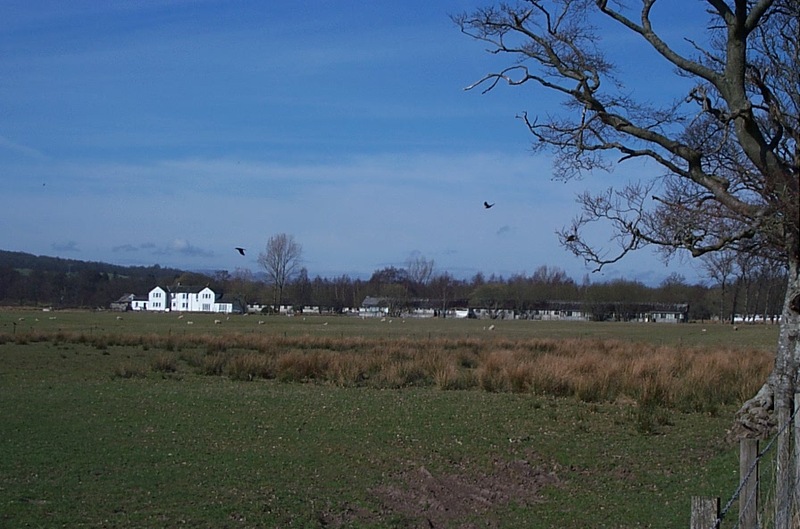 When he died, he asked for his ashes to be scattered on Dumgoyne, close to Killearn. If anyone does have any memories or information about the hospital or my Dad’s during his time there, I would love to hear from them. His doctor may have been Dr Sloan???? Thank you, Laura Thompson. Hello Laura. My father was in Killearn Hospital late 40s to 50s to treat TB hip as a young boy. He also speaks fondly of his time there and had a very similar treatment to you father. Dad remembers a Nurse Bradly from Paisley and a Nurse Grant. Dad’s name is John Walker and he’s from Paisley. I was in Killearn Hospital for about three weeks when I was 14. I had been suffering from petit mal seizures. I think it was in January 1964 because outside it was bitterly cold, but inside lovely and warm. Along with EEGs, I had an exploratory operation where (under local anaesthetic) I had a hole drilled in the side of my head to allow some sort of gas to be pumped in and X-rays taken – I think to observe the absorption rate to differentiate between normal and tumourous cells? Anyway I was told during the op. that he (the surgeon) would now use a brace and bit for the drilling and as it was just above my ear I could hear the grinding and the bone chips falling. I couldn’t stop laughing because all I could think was “this man’s drilling a hole in the side of my head” which just seemed so surreal :). I remember also that I was allowed to smoke! Apparently, I found out long afterwards, that they had originally thought it was an aggressive tumour, and that the son of similar age to me of people my parents knew had had one and died within three months. They knew I smoked and asked special permission. The staff were all so kind and caring. After reading through all the comments again, I know recall that the neurologist who got me admitted to the hospital was Dr Gaylor and the surgeon who led the operations was Mr Sloan Robertson. The photos on this site and Flikr bring back poignant memories – many thanks. Does anyone remember my grandfather.he was a patient ward 14a in 1958.I think he had an operation for a brain tumour.sadly he didn’t survive.I have a letter he wrote to my gran while he was in kilearn hospital.his name was HENRY ROBERT STOCKLEY. Hi my name is Colin Duffy and I was a patient (spina bifida) at Killearn on a number of occasions from my birth in 1957 until at least 1964, possibly later. My parents are now dead but have contacted the NHS archivist for details of my stays. I recall a surgeon by the name of Mr Blockey. Does anyone else remember him? 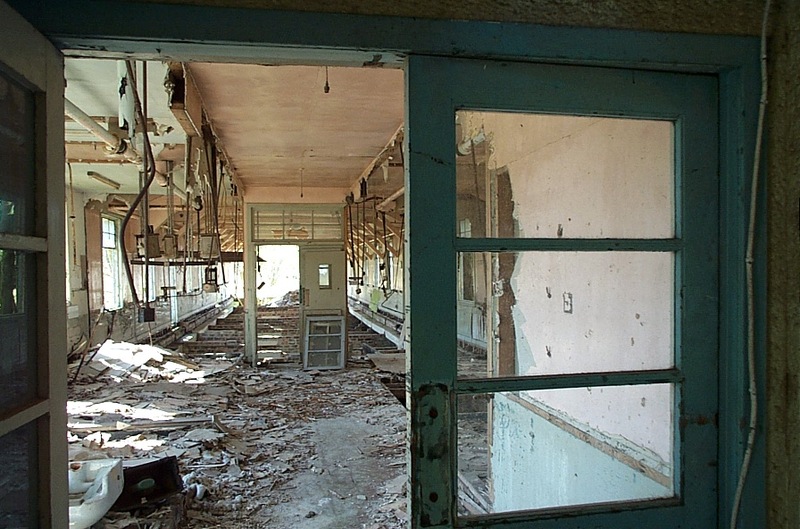 I visited the hospital site yesterday for the first time since I was a child……..the visit evoked powerful memories! Matt – many thanks for that. Yes, I recall Mr Blockey at Gartnavel now that you say it. I wonder if your wife nursed me? 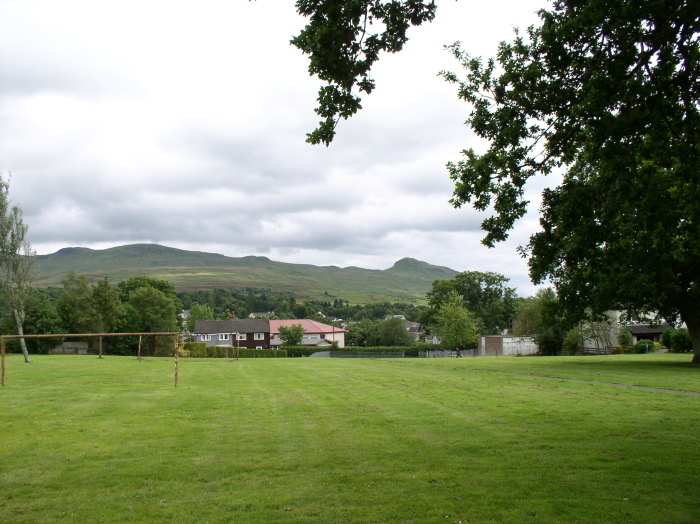 I was born 12.1.57 and attended Killearn on numerous occasions both for my spine & my club foot. It’s a long shot…,,,! Hello, I am trying to find out some details of my grandfather James May that died at Killearn Hospital on 30/03/1965, He was from Glasgow and I know he died of a head injury. There is a story that he may have got knocked down. Hi, My name is Anne Routledge, sadly my Dad passed away 8th October 2014 aged 95 years, We have just found his Royal Naval Diary, no one new he kept one!. He mentions being an Inpatient at Killearn Hospital and went on leave with his leg in plaster June 1941 and the being transferred to The Cottage hospital in Oban….he damaged his leg quite badly in the Docks at Tobermory ? and was in the hospitals for about a year . learning to walk again.The Doctors manged to save his leg thank goodness. He mentions Nurse Molly Yates and ? Helen Grant…. His name….. Mr Russell Simpson form Lynemouth Northumberland. Hi there does anyone know of a Mary Mackenzie that’s worked here? Hello, Wondering if any Nursing Staff recall my two year old sister, Laura Dalgleish admitted to Killearn Hospital in October 1969. She was there for six months if I recall correctly. Her injuries were severe due to a high fall from a window. She was later sent to The Homeopathic Hospital in Mount Vernon once it was established nothing further could be achieved. Would dearly like to know the names of the Surgeon[s] and nurses who were so diligent in their care for Laura and to thank them, at a time that was extremely distressing for my parents, siblings and extended family. My friends mother worked at Killearn from 1964-65 as a domestic servant her name was Mary Mackenzie. Please can anyone remember her please contact me. 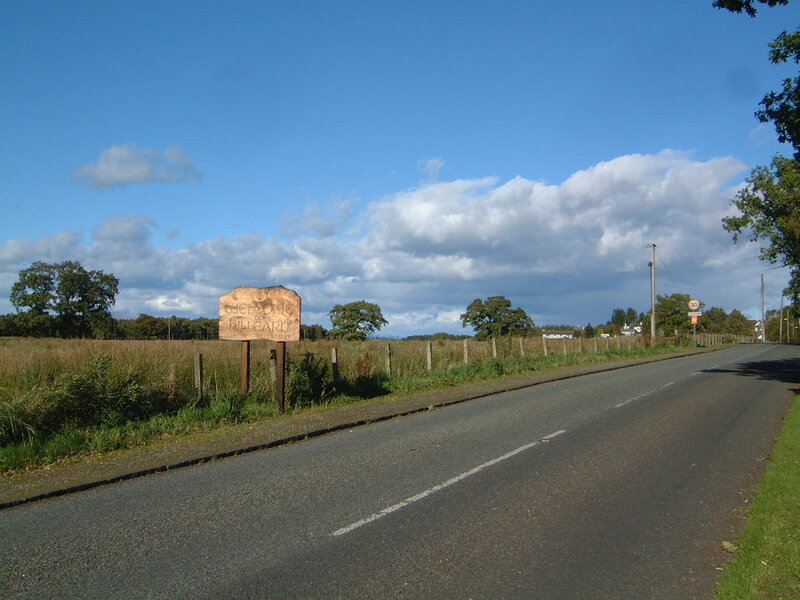 I was in Killearn for seven weeks in 1967 for surgery on my feet .I remember it being very friendly and happy in kids ward and was allowed to wander the grounds in my wheelchair and visit the canteen where a lovely lady would give me tea. I had a walk round the place today it is in a terrible state . My brother Ian Mills was taken to Killearn Hospital in 1961 after a car knocked him off his bike. 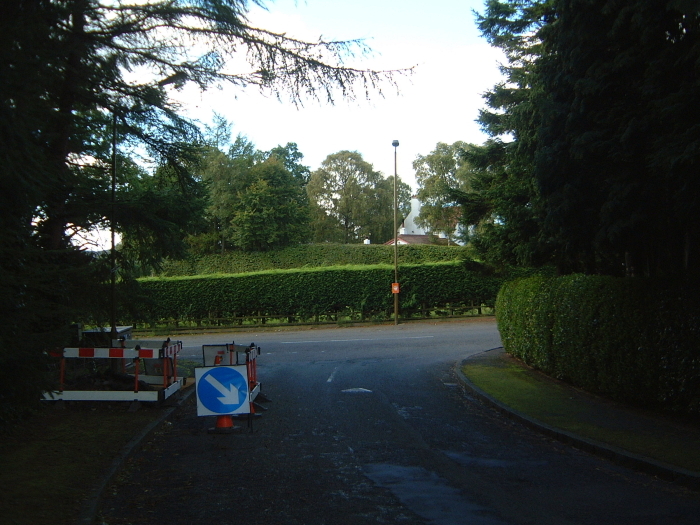 He was initially taken to Falkirk Royal Infirmary where doctors said the only place he could be treated was Killearn but warned that he was not likely to survive the journey. They changed their minds on whether to even attempt the journey after my grandfather put up a prayer. He was operated on by a Professor Dot and after 10 days in a coma began a road to recovery that sees him still with us today. Others in the same ward also had severe head injuries;one was a wee boy called Danny (mcbride?) who had been thrown out of a window in the Gorbals. I remember the smell to this day and will always be grateful to the wonderful staff. Hi George..i was a patient too about 1967/8..i was three..perthus as well..my physiotherapist was I believe a guy named Butch ?..another patient was a boy named Biscuits ?..jog any memories ? Hi George, not sure how old you are ? My Dad was in the hospital for a year, 2nd world war injury. Regards Anne. Hello, I.ve just found this site and it has brought back so many memories. I was admitted to Killearn hospital when I was eight in 1957. Mr Shorstein, who I see has already been mentioned, I believe saved my life. I had meningitis and was very ill. I remember the excruciating headache and lying on a bed in a freezing room as they tried to bring my raging temperature down. My parents were wrapped up against the cold! I wish I could remember the names of the nurses who gave me my six injections a day and the gentle doctor who made the horrible lumber punctures almost bearable. When I got a bit better they let me deliver the letters that had come in the post to the others in the ward. I suppose it encouraged me to get back on my feet after so many weeks in bed. I remember a Mrs Clark who was another patient. It’s good to read these comments from others who have been in the hospital. We lived in Paisley. It’s just good to talk to people who were there. The hospital looks so sad now.It did so much good work. Hello my name isTheresa Daly I was in Killearn in the same period mr, Blockey was also my surgeon you cant immagine how many years I’m searching for people who have shared the same experience. I live since 1964 in Italy as you noticed my English is not perfect. I’d like to know more about these memories. Maybe we wear bed neighbors. Reading your post seems like reading my story, the same things,the same sweet memories. I wonder if anyone knows of my gran Agnes Mccomb who worked here in the early to mid 1960’s but sadly died of a brain tumour at only 36 years old? hi norman do you remember a lady called mary Mackenzie who lived in balfron? My mother Elizabeth Collins (now Myles) spent 5 years in killearn hospital from 1961 to 1966. She was 12 years old taken in with severe head trauma. A slate fell from a roof in Partick paralysing my mum from the neck down. She was firstly in the neurological ward and remembers Nurse Barnes and an auxiliary nurse Gourley and nurse Robb. She was then transferred to ward 1 and remembers nurse Ward and her sister May. She also remembers these others. Jill Farkison – physiotherapist. Butch Hawekwell – worked in the gym. Sister Nan Hunter. Ann Knox – physiotherapist. Ms Andrews ?? (Could be wrong) head physio. I am sure I remember your Mum as I to was in Killearn Hospital in 1966. They used to wheel us down to an empty ward to watch a film, to alleviate the boredom no doubt. One film I remember watching was Blazing saddles and another was called Summer Holiday starring Cliff Richard. I hope all is well with her and please send her my regards. Ia was a patient at Killearn in 1960 I was taken to Killearn with a burst anurysim in my brain, I was 20. My Dr. was Mr. Patterson he was a great man if not for him I would belong gone. The staff were amazing. I always remember the young woman across the ward from me she had a baby and was unable to move, she cried a lot. Some days when they were busy the nurses would let me feed her soup in a little jug that looked like a teapot. I would love to hear what happened to her every so often I think of her and hope she made a good recovery. 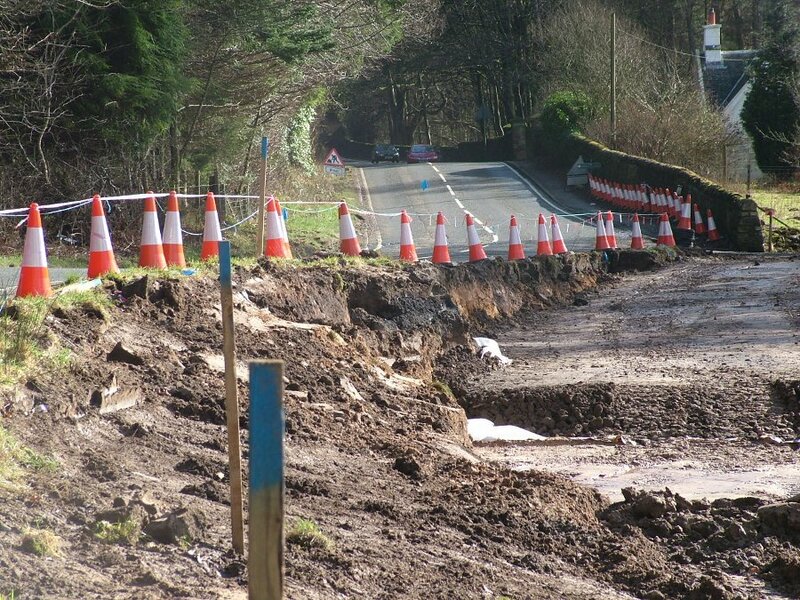 God bless all who worked at Killearn. My dad Jimmy Robinson was a patient in Killarney in the late fifties following a head injury. I have very vague memories of waiting outside the ward in the gardens while my mother visited him. I was only about six or seven at the time. The fantastic care he received saved his life and must also have influenced myself as I trained to be a nurse and loved every minute up until I retired a few years ago. Sadly my dad died just this morning, aged 92. Thanks to the care he got at Killearn he enjoyed many more years of life. I was in Killearn with perthus in 1967 when I was 3..i remember a guy called Butch and another wee boy who was called ” Biscuits “. One day I refused to do my physio..the reason being Bisciuts got new crutches..i wanted new crutches too..eventually I got my new crutches so all was good..my name is Billy Smith and I came from Clydebank..i know it’s a long shot but have I jogged anyone’s memory ? I am trying to find a Elaine McKay..that id her maiden name..I believe her marriage name is Petersen..She is living in Kilern and she is in nursing..How else could I locate her???? I am from America. .
R farmer takung me round the hospital grounds inbetween changing my brown elasticated sticky tape.i thought it was a donkey he showed me wer i had been staying.i often thought it wasnt a donkey it was a goat but dnt think you can ride goat.lol see my heed would like to hear more if you have any .but as.if your stull local wouldnae mind wee chat i went from the butney maryhill to the bundy clydebank never dull moment as you could imagine im a atone throw fae the bundy staying . Started my orthopaedic training in Killearn 1970. Loved every minute, have vivid memories of being locked out and climbing through windows. I think it was actually 1971 that I started. 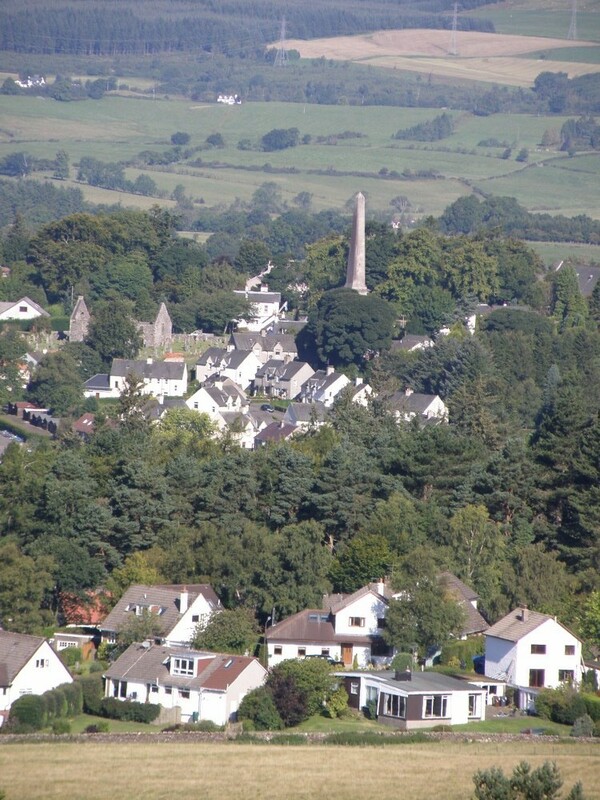 Great to hear from you.We had a wee reunion at Killearn about three or four years ago & stayed at the Black bull.The ones that were there & were in our class were Noreen Devenney&Cathy Hedges,there were also others there who were behind us but I don’t know if you would remember them or not. Are you still living in Glasgow?I’m in Canada (Winnipeg) & have been here for 42 years ….hard to imagine. Have you retired?I retired a couple of years ago but do work on a casual basis. I have no idea what happened to Rosemary or Sheena. My email address is Gabymcgrath@hotmail.com.Would love to hear more from you & if you are in contact with any of the old gang. Hi all. I have just found a letter , with the hospitals address on written to my mother ( from her grandad) when she was working at the hospital. Her name was Gunilla Leven and was from Sweden. This was what i can gather 1958/59. I can recall she mentioned ” climbing out of windows” . My mum passed away 1991, 52 years old only. She did take me to the area when i was maybe 6-7 years old as i remeber we visited what i asume a matron living close by. This matron lived in a big house and was very nice so my mum must have got on well with her for taking myself and my dad on a trip all the way to Glasgow from Sweden. I live in Wiltshire, married to an Englishman . Faboulus to read your stories. I was a patient in Killearn for food surgery. I was about 11 or 12 years old around, 1970-1972. Mr McPherson was my consultant. I remember all the wonderful nurses and how hard working and caring they were. I particularly remember a nurse June or Judith Dawson, who came on secondment from Yorkhill Children’s hospital. She was the kindest nurse ever and inspired me to enter the profession as a adult. 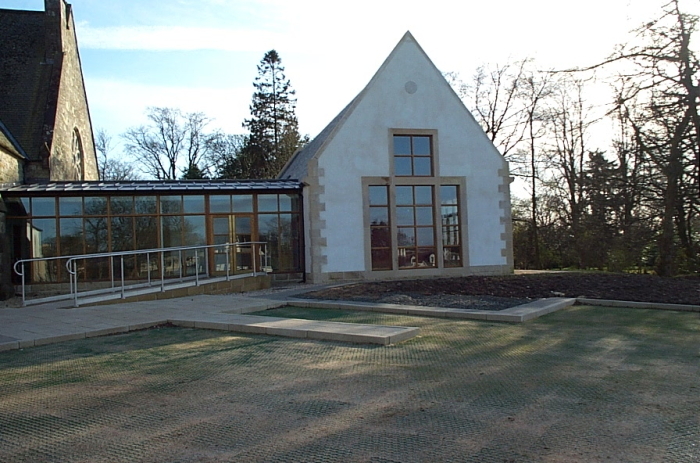 The grounds were lovely in Killearn with the environment being highly beneficial for the patients. All the fresh air and relaxed surroundings, the canteen was great and staff were so kind, every day I ordered a roll and salmon. Delicious! You could go and visit other patients in your wheelchair in the different wards. There was a tennis court and I remember the staff used to play after a busy day on their feet. They must have been exhausted. Thank you to all the staff who looked after me all these years ago! I am trying to help my husband’s aunt locate her half sister who was born at Killearn Hospital in Sept 1965. Her mother was Mary Mackenzie who was a Nursing Assistant at Killearn but came from the Newburgh, Fife area. The baby’s birth was registered by an R Ferguson who we believe to have been a senior member of staff. The birth was not registered until 9 weeks after the baby was born, Mary having been in Perth Infirmary due to an underlying condition. I have a few questions – firstly, did you know Mary and know that she was pregnant? Did Killearn have a Maternity Unit or would this birth be unusual? Do you know who R Ferguson could be? Thank you for taking the time to read this far, Linda has been trying for years to locate her younger sister named Christine Mackenzie at birth and this will likely have changed as she has been adopted. My mother-in-law Mrs Clementine McKeich worked as a nurse at Killearn Hospital. In March 1951, she took a bus to work from her home in Fintry. She got off outside the hospital, walked round behind the bus, which then reversed over her and she was tragically killed. She left a husband, Archie, and three-year-old twins, Elizabeth and Stewart. With the help of relatives and friends, Archie, who worked on the Culcreuch Castle estate, brought up the twins; Elizabeth trained as a nurse in Stirling and Stewart joined the army and saw service in Borneo, Aden and Northern Ireland. When Archie died in 1971, Elizabeth moved to St Albans in Hertfordshire, to live with her aunt, Clementine’s sister. This was where we met, and where we were married in 1977. After 38 years of happy marriage, Elizabeth died in 2015. We had three children and I now have three grandchildren. Stewart lives in Plymouth with five children and ten grandchildren, mostly living locally. There can be few left alive who remember the tragic death of Clementine. At the time, it was seen as a great family tragedy, but I cannot help reflecting that without this event, I might never have met Elizabeth and had the family that I have. Elizabeth was a committed Christian and a wonderfully caring person, to whom many turned for comfort and advice. We both appreciated the significance of the Bible verse “All things work together for good to those who love God and are called according to his purposes” [Romans 8, 28]. I was always sorry never to have met Clementine or Archie. 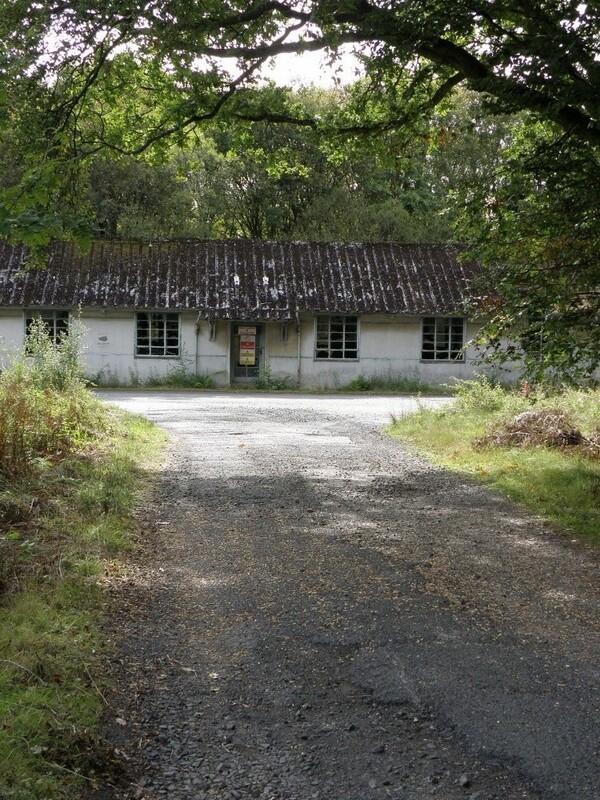 I did my orthopaedic training at Killearn from 1968-1970.I remember Athlol Parker well.Killearn was the best two years of training…..many happy memories! That was well after my time(trained in 1948-1951) but it was an excellent training school then too.My brother in law was Athol Parkes.My sister was also at Killearn but in the early forties.